Bell and MLSE chairman Larry Tanenbaum announced Wednesday that they have purchased the Toronto Argonauts and will relocate the CFL team to BMO Field. The Argos can start play at the lakefront soccer stadium as early as next season, pending renovations to accommodate football. 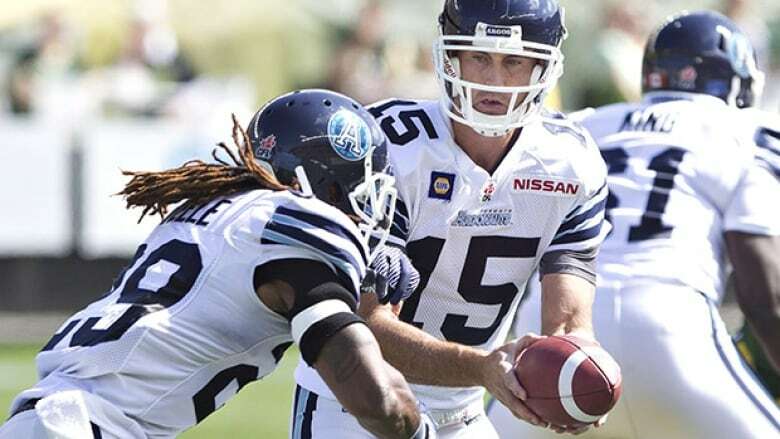 After months of uncertainty, the future of the Toronto Argonauts is starting to look brighter. Bell and MLSE chairman Larry Tanenbaum announced Wednesday that they have purchased the CFL team and will relocate it to BMO Field. The team can start play at the lakefront soccer stadium as early as next season, pending renovations to accommodate football. The Argos currently play at Rogers Centre, home of the Toronto Blue Jays. Their lease at the domed stadium runs through the 2017 season, but can be terminated earlier. Rogers, which owns the stadium and the Blue Jays, plans to install a grass playing surface and has told the Argos their Rogers Centre lease will not be renewed. The announcement caps roughly a year of talks between Argos owner David Braley and Maple Leaf Sports and Entertainment. Absent from the deal is Rogers Communications, which is part of the MLSE ownership group with Bell and Tanenbaum. Rogers was reportedly not interested in acquiring the 142-year-old franchise, likely because it has no ties to the CFL while Bell has a vested interest in the league through its broadcast affiliate TSN. Fans have long complained about the lack of atmosphere at Rogers Centre, where Toronto averaged under 20,000 spectators last year in a stadium that can hold over 50,000 fans for football. Also, the Argos have found it difficult to secure decent home dates because of stiff competition from baseball and special events. In a glaring example of the Argos' difficulties at Rogers Centre, the team has been forced to schedule it's home opener this season against Edmonton in Fort McMurray, Alta., due to conflicts with the 2015 Pan Am Games and the Blue Jays.